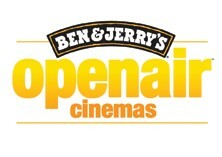 To celebrate Ben & Jerry’s breaking ice in the ACT, Ben & Jerry’s is sponsoring the inaugural Openair Cinemas in Canberra. After sell-out events across the nation Ben & Jerry’s Openair Cinemas will be heading to the Capital for its second week with a viewing of the ation-packedfavourite- Top Gun. This Sundae's Session will set sail at the Canberra Lakeside (Acton Park) with tub-thumping moo-sic from local bands Elisha Bones and Dahrnoir, which fans can enjoy whilst tucking into some FREE dairylicious Ben & Jerry’s tubs. With something for everyone, ice cream fans can tuck into tubs of Chunky Monkey, Phish Food and New York Super Fudge (just to name a few). All ticket proceeds from Sundae Sessions go to the good people at OzHarvest, Fairtrade and Mission Australia. Pricing: $17/ $12, Star Class $40 or on the door $22/$17, Star Class $45 (which includes reserved prime seating, Ben & Jerry's ice cream + glass of sparkling or non-alcoholic beverage and blanket hire in case of sea breezes). Seating: do it your way – bring a picnic blanket or hire a comfy bean lounger or deck chair. We have a whole new 2K HD digital system and sound this season, plus a huge new screen, so we're looking better than ever.